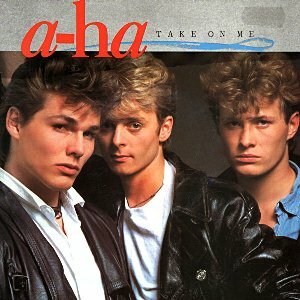 WAIST HIGH: Happy 25th Anniversary To "Take On Me." Happy 25th Anniversary To "Take On Me." From a-ha.com: Today marks the 25th anniversary of the day "Take on Me" went to #1 in the US singles chart, thanks in part to the song’s ground-breaking video. Recently the BBC published an article about the making of the video for "Take on Me" and what made it "a defining moment in the history of music promos."